Thank you for your interest in Notre Dame Jr./Sr. High School. Please click a button on the left to see photos, view our brochure, read our facts sheet, access a printable version of our application, or contact us. Please FAX completed applications to USA - (570) 476-0629. 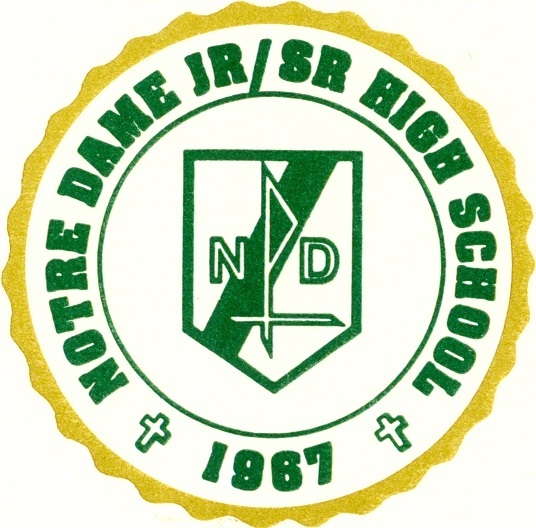 If you have further questions e-mail our Principal, Mr. Jeffrey N. Lyons, at:principal@ndhigh.org. He will reply as quickly as possible.